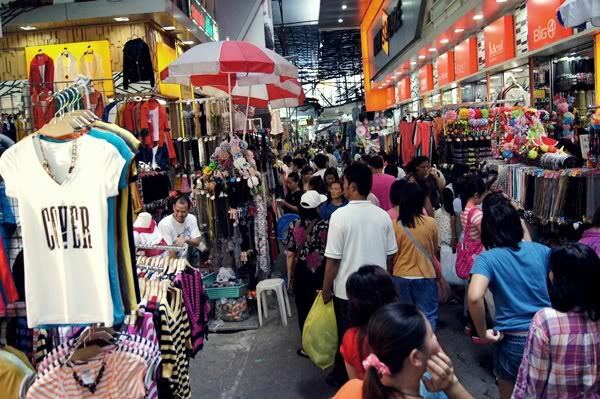 The Pratunam Market is located near the Amari Watergate and Indra Regent hotels, and is easily accessible from Ratchaprarop Road. Inside is a maze of small lanes filled with shops offering great bargains on clothes and textiles. The market is very compact, and you may get a bit disoriented. but don't worry...you'll come across everything from discount T-shirts and bootleg brands to beach clothes and formal evening wear while you shop your way back out to the street. 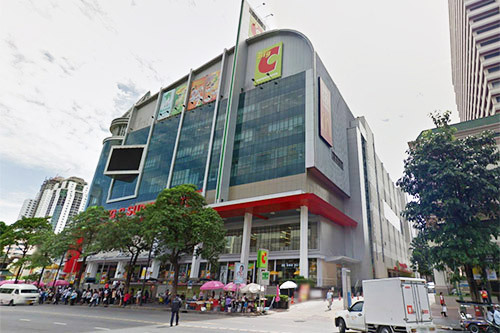 The best place to go for any type computer shopping is the multistory Panthip Plaza located on Petchburi Road iin Pratunam (not far from The Amari Watergate Hotel). Prices are very cheap. 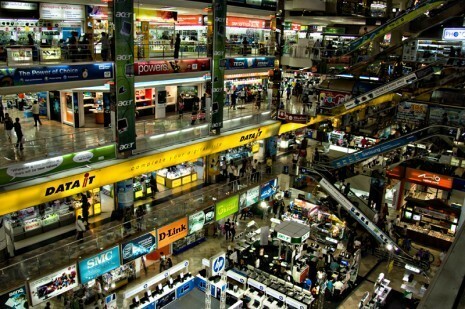 Panthip Plaza is most famous for the huge selection of software available. As well as software, all of the top Hollywood movies are also available on DVD or VCD. 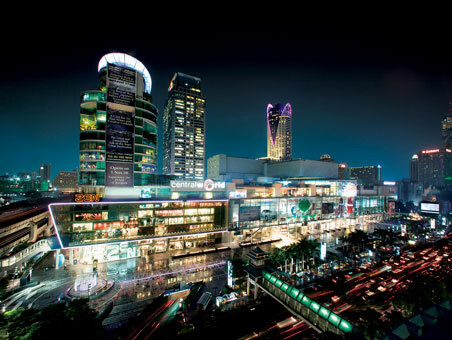 Shopping complex features some 300 high-fashion brand boutiques, an exotic car gallery, fancy food outlets, an opera house and Siam Ocean World, the regions largest indoor aquarium. Visitors will find luxury brands like Channel and Italy's Dolce and Gabbana in the range of high-end boutiques. Shopping will even find Ferraris, Lamborghinis, Porsches and yachts. A vast food court offers popular international food chains like McDonald's and Pizza Hut as well as gourmet menus from a selection of Bangkok's top restaurant. 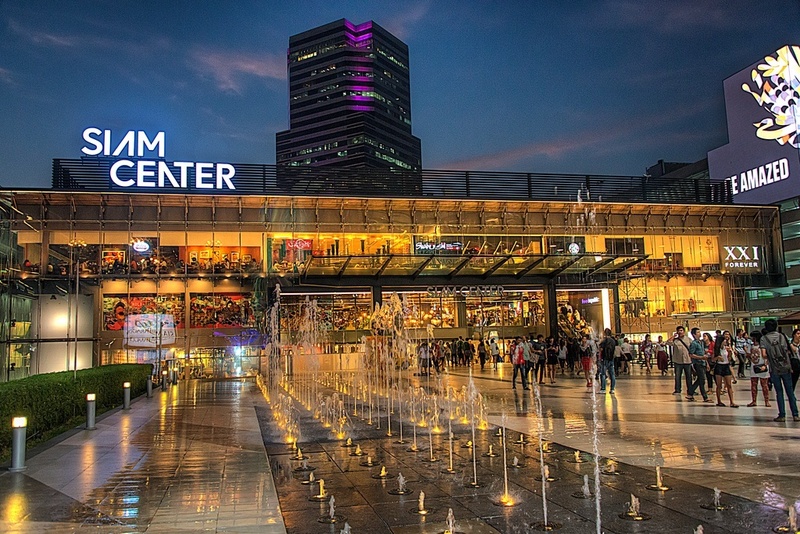 Established in 1973 Siam Center, Bangkok's legendary chic and trendiest fashion venue, is the first shopping complex in Thailand that has enjoyed undiminished fame for over three decades. With over 200 trendy and now hot international fashion boutiques, Siam Center is a symbol of the latest in lifestyle for the young trendsetters. Its right in the heart of town location, is a shopping landmark, not only for fashion and lifestyle, but also a source of fun and worthwhile activities. 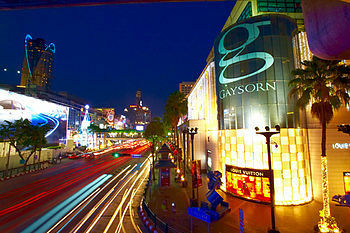 Gaysorn is located on the corner of Ploenchit Road and Rajadai-1 Road (opposite Central World Plaza formerly World Trade Center). Positioning itself as a rival to the luxury retail complexes of Hong Kong and Malaysia, Gaysom's decor houses Bangkok's flagship stores for foreign luxury brands including Louis Vuitton, Gucci, Prada,Dior and Fendi. 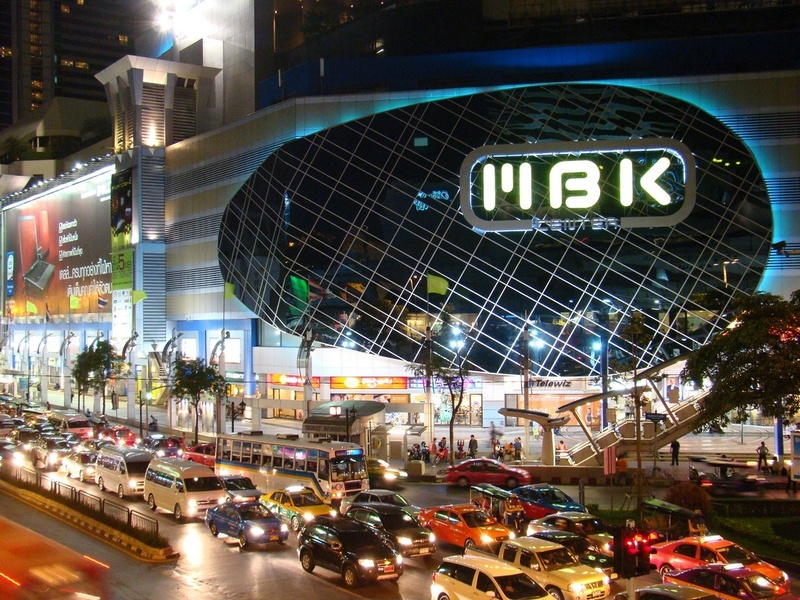 MBK is located on the corner of Phayathai and Rama 1 Roads created for those shoppers who wish to experience market-style shopping in an airconditioned atmosphere. MBK has a mind-boggling variety of items at very cheap prices. 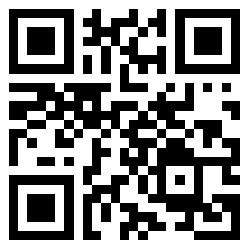 You will find such items as clothing, handbags, cosmetics. leather goods, electronics, furniture and art in addition to restaurants and food stalls. 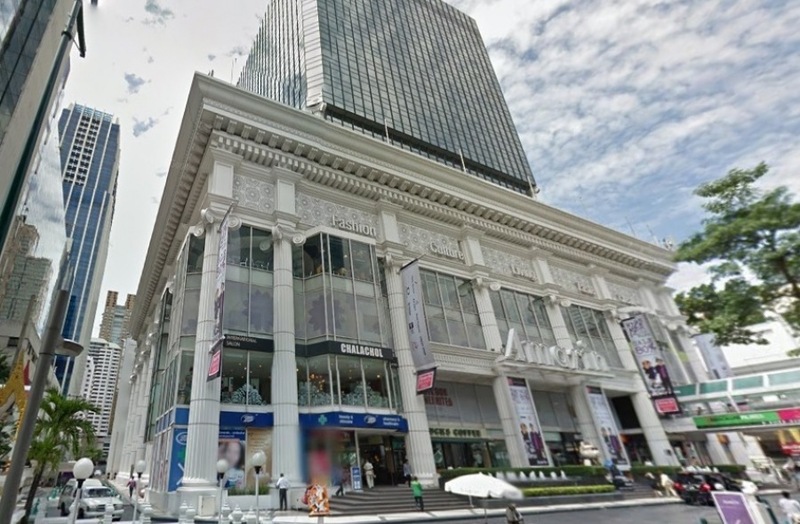 A 22-storey office & shopping complex located at the heart of Bangkok, Rajprasong intersection, was established in 1985. It boasts 30,000 sqm commercial shopping space, and 30,000 sqm of car parking, combining a classically designed 7-storey podium with a modern glass-walled 15-storey office tower. Amarin Plaza & Tower emerged as a new city landmark in Rajprasong shopping district with a focus on shopping, recreational and office activities. offering first-class facilities and services to a carefully blended mix of long-term tenants. 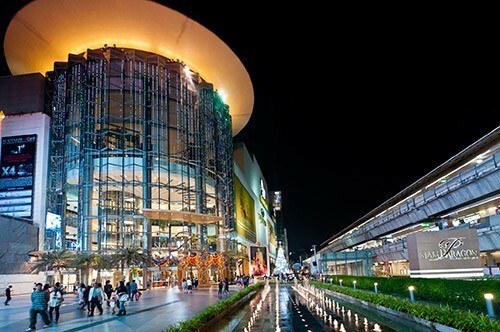 Siam Discovery Center houses over 200 shops of gifts, souvenirs, audio, home decorations, trendy sport accessories, children products and international restaurants, plus the most exclusive cineplex in town. 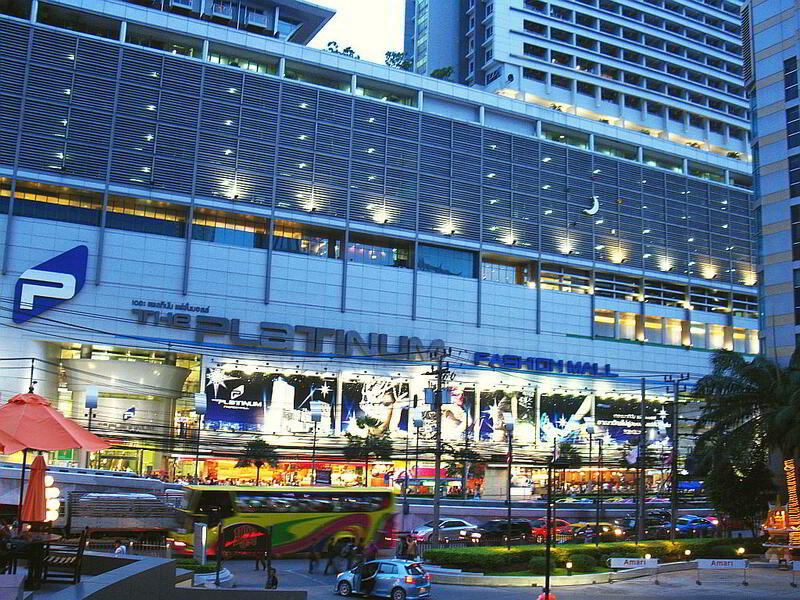 Located next to Siam Center, the six-storey building offers the latest selection of products and vast varieties of services built around the idea of one theme for each floor to create a unique shopping sensation. Big C Supercenter emerged with a new concept of retail business where products include food and non-food items. It is simply a combination of a discount store and food outlets. to provide the utmost customer satisfaction and quality products at low prices evey day. 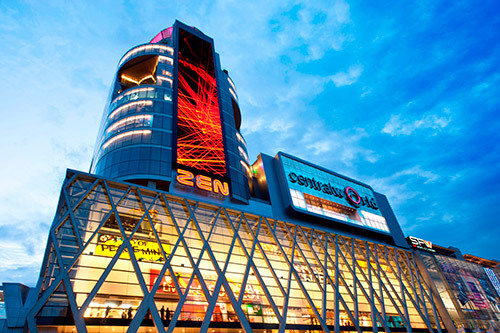 The Big C Supercenter is located opposite the Central World Plaza. The largest lifestyle shopping complexes in Southeast Asia caters for all tastes with an unrivalled mix of shopping, dining and lifestyle experiences. Along with over 500 Thai and international stores, 50 restaurants, two department stores and two state of the art entertainment complexes. 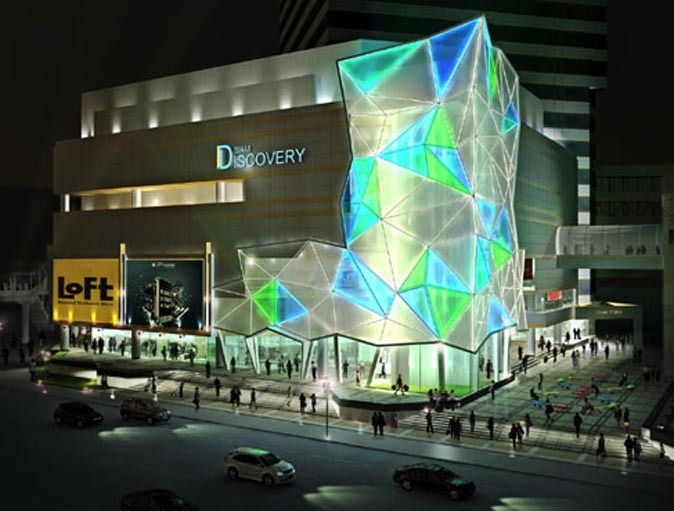 Asia's 1st Lifestyle Trend Megastore situated at the very heart of the famed shopping street with BTS sky train access. Recently redecorated and reopened as Bangkok's newest shopping sensation.